Sometimes a deal seems too good to be true, and this hidden gem is one of them. The Retirement Savers Tax Credit compounds the tax savings already offered by IRA and 401K accounts. Depending on income level, this tax credit gives up to a 50% tax credit on retirement contributions (of up to $2,000 for a maximum credit of $1,000 per person), which is on top of the favorable tax treatment already afforded to retirement savings. The only downside is that it is a non-refundable credit, so while it helps many people with low incomes, those without taxable income do not see a gain from it. The credit is based on adjusted gross income, not total income, so keep that in mind when reviewing the income limits. IRS Form 8880 gives the details of this credit in depth and provides the chart for deductions. As an example, lets say Tom and Katie are married and both work at Walmart earning $10 an hour, full time. This gives them a combined total income of $40,000. If they save 10% of their pay ($2,000 each), They would effectively be saving $6,400. First, Walmart matches up to 6% of retirement savings, so they put $1,200 into each 401K. bringing the $4,000 the couple saved up to $6400. Being in the 10% effective tax bracket, the couple saves another $400 on a tax deduction, bringing the effective savings up to $6,800. With earnings of $40,000 and 401K deduction of $4,000 Adjusted Gross income is $36,000. Since this is just over the limit for a 50% tax deduction, saving an additional $500 will give them $35,500 in Adjusted gross income, and put their combines savings at $2500, or 11.25%. Getting this tax credit of $2,000 now gives them an effective total savings of $9300. So with smart planning and diligent saving, by putting away a modest 11.25% of their pay ($4,500) Tom and Katie leveraged that through their employer and the tax deductions and credits into $9,300 effectively saving 23% of their pay. As shown in the above example, diligence needs to be paid to the numbers before filing taxes. It might make sense to save an extra few hundred bucks to drop down gross income to get the tax credit. In the above example doing this by saving an extra $500 in retirement accounts, Tom and Katie received a tax credit of $2,000 instead of $800. The number one rule of economics is that people respond to incentives. It’s hard to respond though, if we don’t know they exist. While it is difficult to save for retirement with modest incomes, the incentives are large and will make an amazing difference in standard of living down the road. 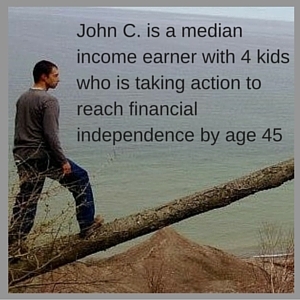 It isn’t impossible for the average family to pay no federal income taxes. 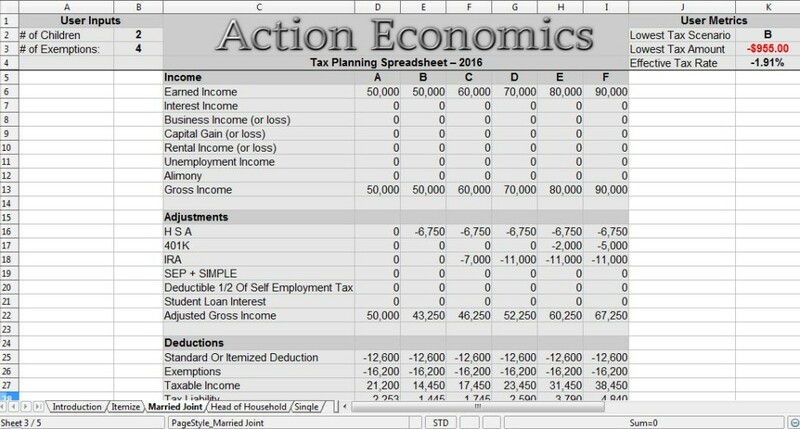 Over the last couple years I have developed a tax planning spreadsheet which will compare 6 tax situations side by side. The user only needs to input a few variables and the sheet will calculate out the taxes the user will owe. This sheet calculates the child tax credit, the additional child tax credit, and the retirement savers tax credit. It will also find the best case tax scenario of the 6 options and calculate out the users total tax rate and savings rate. This is a great tool to assist with maximizing the retirement savers tax credit. 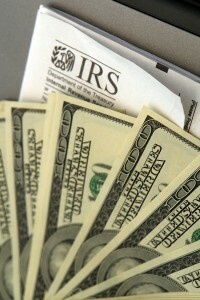 Look for updates to the tax law each year to see what changes the IRS makes. Check out our tax planning spreadsheet to see if you qualify for the retirement savers tax credit.